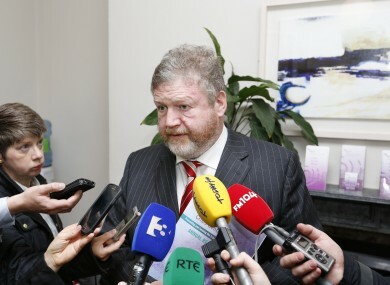 ‎JAMES REILLY HAS said that the terms of reference for the mother-and-baby homes inquiry must not be too broad, otherwise it will be “flawed from the start”. The Minister for Children and Youth Affairs was criticised this week by the Bethany Survivors’ Group for not including the Westbank Orphanage in Greystones in the investigation. Bethany Home, a Protestant home on Dublin’s Orwell Road for unmarried mothers lived and their young children, will itself be included in the inquiry. However, members of the group believe the investigation must also examine “survivors’ experiences after they left the gates” of mother-and-baby homes. Group spokesperson Niall Meehan said that there are examples of babies being transferred from Bethany Home to Westbank. He said that Colm Begely was sent to the orphanage when he was just one year old. Colm was born in Bethany in 1966, but his real misery began when he was sent to the Westbank Orphanage in Greystones in 1967. He suffered injections for bed-wetting and beatings with electric flexes. He was sent to work as a child labourer on farms in Northern Ireland. At age 18 in 1984, Colm was sent with £10 from Westbank to a Salvation Army hostel in London. Colm ended up drinking on the streets for a year before gradually putting his life together. What extra would Westbank need to have done to Colm for the State to take an interest? Meehan also said that some of the children in the orphanage were physically and sexually abused. When speaking to the Oireachtas Health and Children Committee on Thursday, Reilly said that the purpose of the inquiry must not be diluted. He said that his Department needed to give “a clear, precise set of terms of reference to the Commission to ensure that a wide range of factors related to mother-and-baby homes is examined in great detail by the Commission”. We know that at the heart of the desire to get to the truth is the suggestion that bodies of hundreds of children were buried in the Mother and Baby Home in Tuam, County Galway. There is a clear consensus around the need to thoroughly examine the manner in which Ireland treated many mothers who had babies in mother-and-baby homes. If we set the terms incorrectly, the result may be that the Commission is robbed of an opportunity to do its work successfully in a time span that is reasonable and in an efficient manner. Reilly said that he has met with many groups who want certain institutions other than mother-and-baby homes to be included under the remit of the inquiry. However, he noted that the Commission “cannot be viewed as a vehicle to inquire into all matters where there was a deficit in the treatment of people”. Reilly added that the Oireachtas may decide that some of the issues raised by interest groups are “worthy of separate examination”. Email “Should the mother-and-baby homes inquiry include orphanages?”. Feedback on “Should the mother-and-baby homes inquiry include orphanages?”.